No doubt, well deserved! Congratulations, Pat. An apron,too! So jealous but you deserve one for sure. The apron is just the very best. Congratulations, Pat. 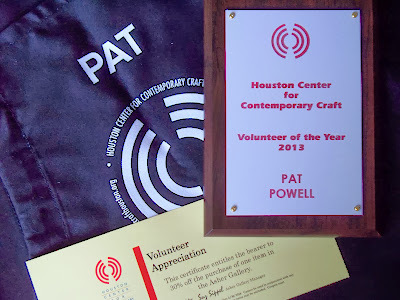 It’s nice that they recognized you for the volunteering you do for them.